Mission director K. Sivan kept his fingers firmly crossed in the mission control room at the Indian Space Research Organisation (Isro) Satish Dhawan Space Centre in Sriharikota on the morning of 5 January as the moment drew closer for the launch of the Geosynchronous Satellite Launch Vehicle, or GSLV-D5. 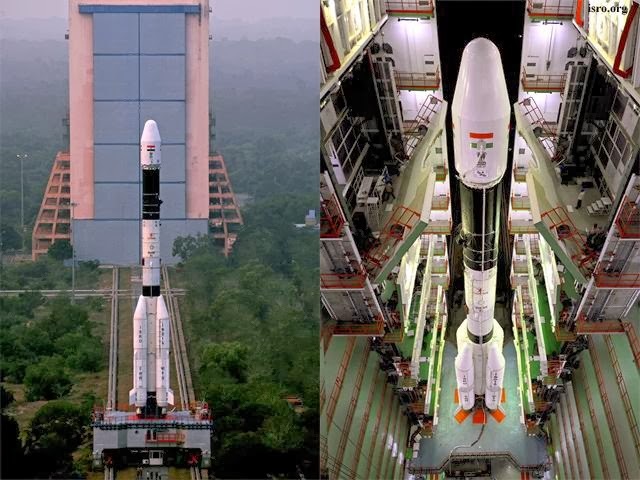 The rocket, powered by India’s indigenous cryogenic engine, had been tested and reviewed numerous times in the four months since its aborted launch on 19 August due to a crack in the fuel tank. After the 5 January launch, every step that the rocket cleared made Sivan a happier man. But he also became more anxious—after all, of the seven GSLV launches earlier, five had failed. It was only when the satellite GSAT-14 onboard the GSLV-D5 was inserted into a precise orbit that Sivan relaxed. “It was like the rebirth of GSLV,” he said. The GSLV programme was started by Isro in response to India’s mounting communications needs. By 1987, the government had approved the development of the second generation INSAT-2 series of satellites, weighing more than 2 tonnes. Isro wanted to develop a 2.5-tonne class of satellites and put them into a geostationary transfer orbit at 36,000km from Earth’s surface. Isro also wanted to make a vehicle that would be bigger, lighter and more efficient than its workhorse Polar Satellite Launch Vehicle (PSLV). There were three fuels options: earth storable, semi-cryogenic, and cryogenic. Cryogenic engines, which use liquid hydrogen and liquid oxygen as fuel and give the most thrust, are usually prepared for the “upper stages”—the last stage of the rocket—because this stage provides 50% of the velocity of 10.2km per second needed at the point of injection of a satellite. In 1986, at a cost of Rs.12 crore, Isro scientists began developing a one-tonne cryogenic engine to try and understand how to handle liquid hydrogen and liquid oxygen. At the same time, a design team was formed at Isro’s Liquid Propulsion Centre at Mahendragiri in Tamil Nadu to come up with the design of a seven-tonne turbo-fed engine. Although this development boosted the confidence of Isro engineers, Isro knew that it couldn’t wait much longer to develop the indigenous engine. It was then that Isro thought of procuring cryogenic engines from other countries. After rejecting offers from the US and France for both the sale of engines and transfer of technology, India approved an offer by the Soviet Union’s Glavkosmos space agency in 1990. India sent eight scientists to Moscow to work with Soviet scientists. They worked there for 15 months, but did not have access to everything. Then, 15 months after the deal was signed, the US raised objections citing a violation of the international Missile Technology Control Regime (MTCR). The West feared that cryogenic technology could be used by India to develop intercontinental ballistic missiles, which is rejected by Indian scientists. Eventually, in 1993, Glavkosmos backed out of the deal and revoked the transfer of cryotechnology agreement. Under a renegotiated deal, Russia decided to provide four fully functional engines and two mock-ups. It also agreed to supply three more cryogenic engines at a cost of $9 million. At this point, the Space Commission, which formulates and implements the Indian space programme, approved a Rs.280 crore project to develop an Indian cryogenic engine, the C12. Preparations were made for the first developmental flight of the GSLV-D1 with a procured Russian cryogenic third stage, planned for early 2001. A cryogenic upper stage (CUS) project had also speeded up the design and development of an indigenous engine to replace the Russian one. “A lot of theoretical studies were conducted under E.V.S. Namboodiry, a propulsion expert who was in charge of studying the cryogenic engine with a team of experts. Something like 18 reports came out regarding cryogenic engine. But theories cannot give you a stage,” said Suresh. Isro scientists had to become adept in areas such as materials technology, powder metallurgy, welding technology and fabrication technology. Even as scientists gained experience from GSLV launches with a Russian cryogenic upper stage engine, they worked feverishly on the indigenous version. In 2009, Isro concentrated on developing infrastructure like the propellant casting facility for solid boosters. That year, Isro reached a landmark when the indigenous cryogenic engine was tested at the Mahendragiri and cleared for a full flight. But the launch of the flight—the first with an indigenous engine—the GSLV-D3 in April 2010, with a GSAT-4 satellite on board, failed. The rocket deviated from its path and the vehicle was seen “tumbling” down by Isro scientists. “The thing with rocket launches is that there is not much difference between success and failure. We succeeded (in 2014), but a tiny glitch and we could have ended up in the Bay of Bengal,” said R.V. Perumal, former director of the GSLV project. The failure, a major disappointment to the nation, was caused by the fact that the cryogenic upper stage could not sustain ignition because the fuel booster turbo pump stopped working 293 seconds into the flight. The second developmental launch of the GSLV D-3 in December 2010 ended in an explosion due to a technical snag in the first stage. “Even though we would test the engine and the ignition sequence on the ground, the conditions on the flight would be much different,” said Sivan. For Isro, it now became necessary to create those conditions for testing. A high altitude test facility was built in Mahendragiri in 2012 to demonstrate successful ignition for simulated flight conditions. And after testing the system in those conditions, Isro modified the ignition sequence. Still, in August 2013, a GSLV-D5 launch was aborted at the eleventh hour after a leak was detected in the fuel booster pump. After decades of dogged engineering pursuit, this was an easier problem to solve for Isro. “When we went ahead with the flight after testing the engine in every possible condition, we were confident of success. We had arrived,” said Sivan.